This Charming red card is made from a matte finish shimmer board and has a book fold. 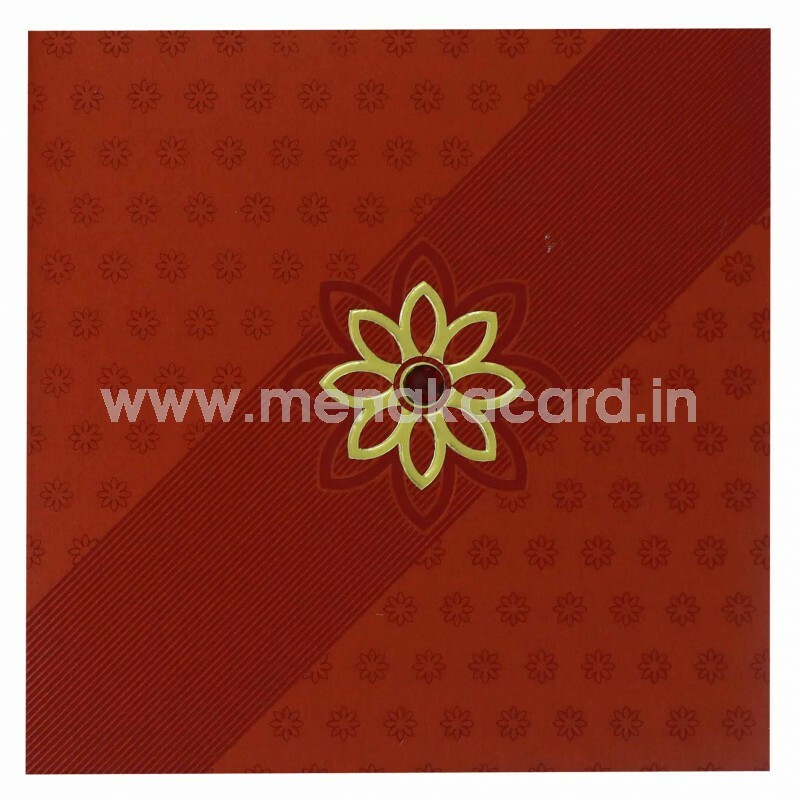 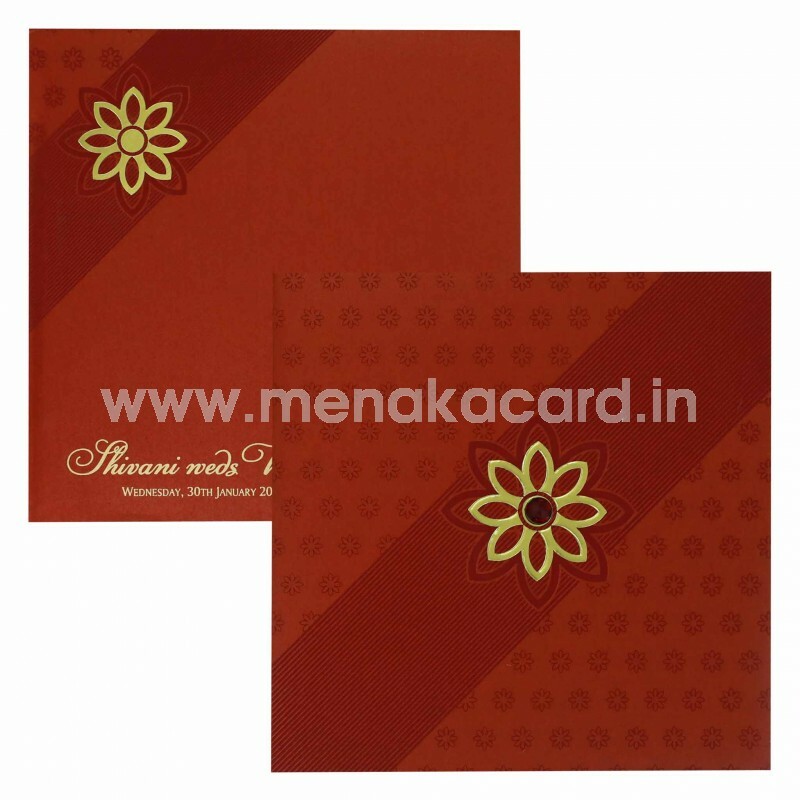 The main flap of this card has a dainty flower outline embossed into the centre in gold foil embellished with a red kundan stone on a diagonal stripe band across the page over maroon floral lancers. 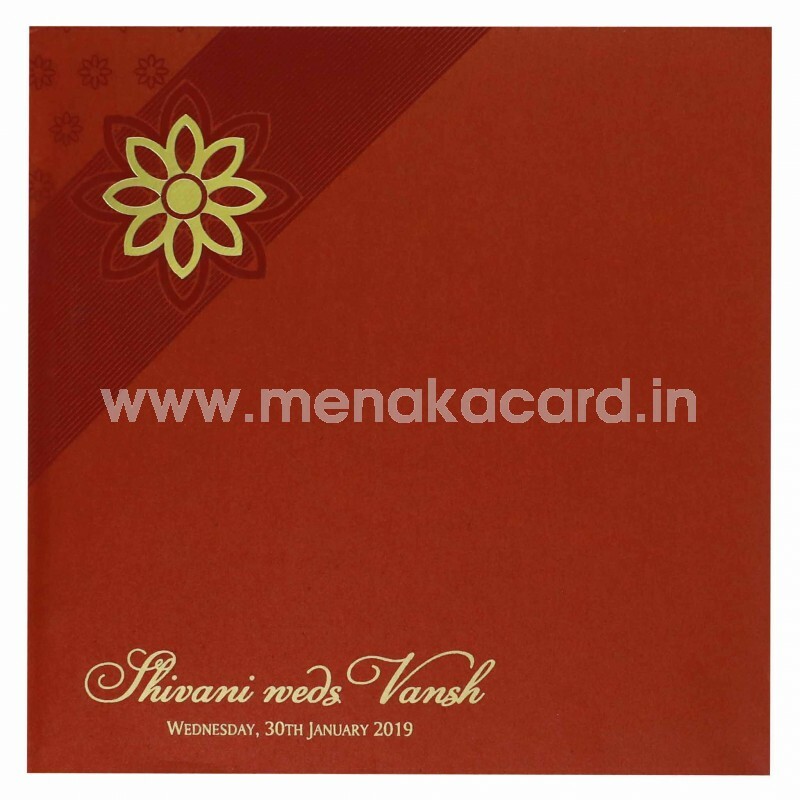 The 2 default of this inserts are seated a solid flap made from cream shimmer boards and printed with brown contrasting text. 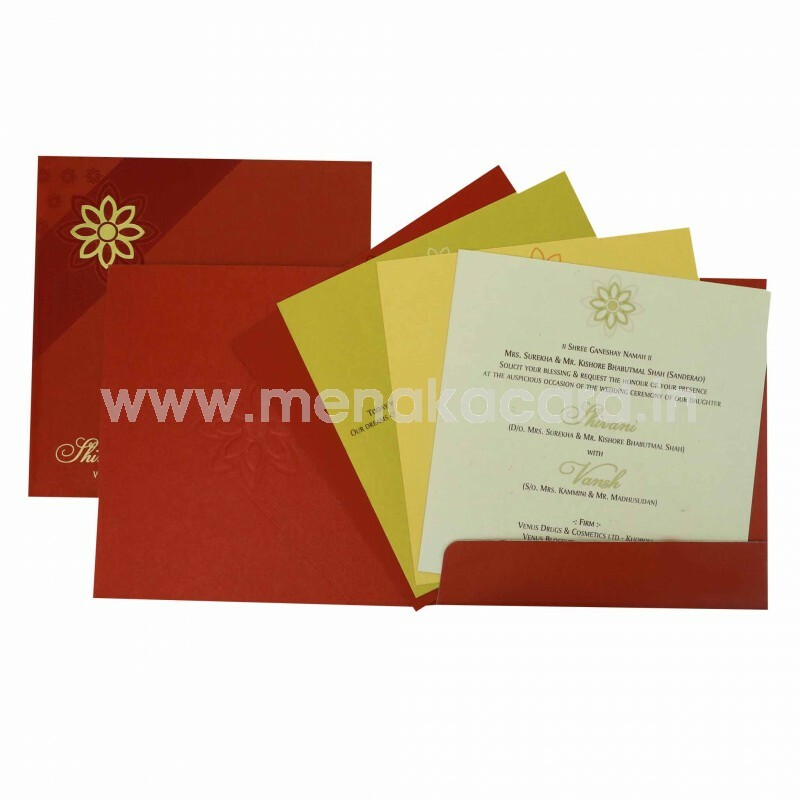 This can be used for Muslim, Hindu and Christian weddings, receptions and engagements.